I am interested in #205 12420 82 St Nw, Edmonton, AB. 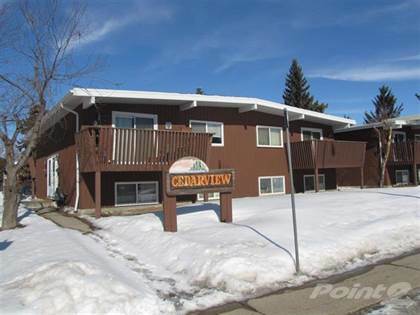 #205 12420 82 St Nw is a 65 square foot Condo for sale in Edmonton, AB T5B2X4. It has 2 beds, 1 baths and was listed on Ovlix.com since October 19, 2018 by The Good Real Estate Company for $88,300. Listing agent: Jerry Dobri. The average price for similar #205 12420 82 St Nw real estate listings - $206,261 which is 20% lower than $259,260 for Edmonton, and 27% lower than $282,113 for Alberta. Comparable nearby homes are: #107 9312 104 Av Nw, #104 12831 66 St Nw, #207 11029 84 St Nw, #202 12914 64 St Nw Nw, #207 9312 104 Av Nw. What's near #205 12420 82 St Nw, Edmonton T5B: Fulton Creek (North Saskatchewan River), Northlands, Edmonton Radial Railway, NAIT LRT Station, Kingsway/Royal Alex LRT Station, Edmonton Expo Centre, K-Days, Royal Alexandra Hospital, Londonderry Mall.